The July funding round saw us again blessed with incredibly good applications in both Scripted and Factual, and also Music Projects. In fact we could have spent virtually every penny we have for the 2018/19 year in this round. Of course, being prudent funders, we didn't. In a hotly contested environment there are many line calls. If you have missed out this time but we think your project has merit, we will be happy to talk about what might strengthen the business case. You can read more about we've supported in this newsletter. We are delighted with the one-off funding increase of $4m for this year, and will be collaborating with RNZ on an innovation fund worth a further $6m. The latter is for content on RNZ but provides significant new opportunities for the independent production sector. We know that many are eagerly awaiting details of what we intend to do with the funding increase. The Board had an initial conversation about the options at its scheduled meeting last week. Two things now need to happen - we need to discuss priorities for the $6m with RNZ. And we need to consider more detailed options for the $4m, which will happen at the October meeting. We will provide an update as soon as we can, and will issue a call or calls for content in the usual way. And on the subject of the funding increase, I want to thank those groups and individuals who supported the case for increased funding to both NZ On Air and RNZ to the Ministerial Advisory Group. We are acutely aware of how vital our funding is to underpinning many jobs in the sector, as well as of course supporting the pipeline of public media content for New Zealanders on a host of different platforms. We are heartened that Minister Curran has expressed this month's funding announcement as a "down payment", and we are very grateful for her hard work in securing additional public media funding. The first round of the new financial year was for General Factual, Scripted, Regional Media and Industry Development applications. It was a cracker round - we received 105 Scripted and Factual applications alone. We also received a high number of development applications. This combined with the fact we already have a volume of projects supported for development, means we won't be accepting any further development applications in the next round (closing 9 August). From a very strong pool of applications we supported 24 Factual projects and eight Scripted, as well as six Regional Media projects. The life of rugby juggernaut Jonah Lomu will be celebrated in a two part prime time mini-series to screen on Three. Jonah, The Untold Story will be made by Great Southern Television. Our unique Kiwi sense of humour will be chronicled in Funny As: The Story of New Zealand Comedy. The comprehensive project will screen in prime time on TVNZ 1, and also feature extended interviews On Demand and archival footage on NZ On Screen. And off the back of the success of The Valley, the award-winning team at Stuff Circuit, will create an interactive documentary series based on five new in-depth investigations. The content will be available both on Stuff and on Māori Television. We've also extended our support for regional media, funding two new projects for South Island audiences. Following a review by Dr Gavin Ellis of the four regional media projects previously funded, we have restated our goals with regional media support to be clearer that this is civic journalism. We are also bringing key people from each of the funded six projects together later this year for a workshop to help support growth and knowledge sharing. This was our first funding round since releasing the Scripted Roadmap which outlines our approach to investing in scripted content. Here's an example of that roadmap in action; see how we categorise these key funded projects. Premier content: Westside 5 - our favourite Westie family returns to Three with another outrageously entertaining season. Sustainable production: The Educators is a new improvised sitcom for TVNZ On Demand. Newer storytellers: Comedy Pilot Week for Three and Baby Mama's Club 2: The Prequel for TVNZ On Demand are both encouraging newer talents. The next funding round is for Scripted and Factual content for targeted audiences, in particular children. The round closes 4pm on 9 August. Decisions will be notified after 1 October. Full details of all funding decisions are at the end of this newsletter. You can also use the new improved Funding decisions search on our website. It now handily includes a synopsis line so you can find out a little more about every funded project. The prestigious APRA Silver Scroll Award recognises outstanding achievement in the craft of songwriting. Recently the Top 20 finalists selected for the 2018 Silver Scroll Award were announced and voting is now open to APRA’s almost 10,000 NZ members. We are pleased to have supported 10 of the 20 songs in the running for this year’s award, including tracks from Tami Nielson, Louis Baker, Yumi Zouma, The Beths, Julien Dyne and Ladi6, Unknown Mortal Orchestra, Chelsea Jade, Marlon William, Ha The Unclear and Julia Deans. 18 of the 20 songs are from NZ On Air-supported artists. You can listen to the playlist of all of the incredible songs in the running for the 2018 Silver Scroll Award on Spotify here. NZ On Air is proud to be supporting SongHubs Sphere - Aotearoa’s first collaborative songwriting programme for female and gender non-binary artists and producers. From the 6th – 11th of August, 15 NZ artists will join internationally renowned songwriters and producers Wendy Wang, Susan Rogers, Ebonie Smith, and Laura Bettinson at Auckland’s Roundhead Studios to create music. In addition to the songwriting workshops, there will be a series of evening seminars which are open to the public to attend. More information on these is available here. This initiative from Greg Haver and Apra Amcos is an important step towards seeing greater representation of women in the NZ Music Industry. 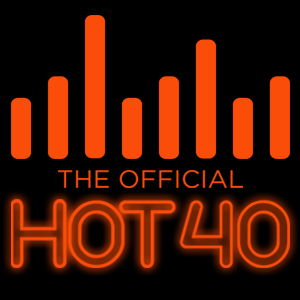 This month Recorded Music NZ introduced a new chart – The Hot 40 – which tracks the growth in popularity of a song in relation to its listeners, streams and radio play. The new model of the chart is the first of its kind in the world and is generating a lot of international interest. The chart is more dynamic than the original Top 40 chart as the rate in which tracks increase and decrease in sales, streams and airplay each week changes regularly and this means it is a great tool for new music discovery. A second chart, the The Hot NZ 20 follows the same format, however includes only songs from NZ artists. Have you checked out the new Watch and Listen section on our website yet? It's where you can find all the of the best and latest in public media content we've funded, from drama, to music, to documentaries. Wellington Paranormal - Officers O'Leary and Minogue investigate all manner of paranormal phenomena in this hilarious What We Do In The Shadows spin-off. Alien Weaponry: Thrash Metal and Te Reo Māori - Three teenagers from Waipu have become unlikely heroes in the fight to preserve our indigenous language by making heavy metal inspired by Māori history. Westside - New Zealand's favourite wild Westie family are back and better than ever in their fourth season. Living With Tourette's - Follow six young Kiwi Tourette's sufferers as they struggle to get work, find love and bring up kids in a society not designed to cope with their disease. In Dark Places - The true story of Teina Pora, an innocent man imprisoned for two decades and an ex-cop's battle to win him his freedom. The Male Gayz - Chris Parker and Eli Matthewson explore different aspects of queer Aotearoa in this no holds barred comedy show. The latest to go under the Meet the team microscope is Benedict Reid, who has the magnificent title of Associate Head of Funding (Business Affairs). Benedict joined the NZ On Air team in January 2010 - if you've had a project funded you will likely deal with him at some stage in the process. He's our resident film and television encyclopedia, earning the nickname 'wiki-ben' around the office and always on hand to fill you in on the backstory to any project. Find out more about Benedict here. 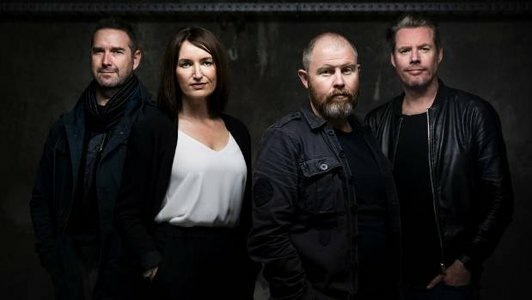 Ablaze, 1 x 90 mins, Screentime New Zealand for TVNZ 1, up to $2,989,985. A historical drama based on the tragic 1947 Ballantyne's department store fire that killed 41 people. Jonah, The Untold Story, 2 x 90 mins, Great Southern Television for Three, up to $5,461,000. The phenomenal story of the boy from Tonga who took the rugby world by storm. Runaway Millionaires, 1 x 90 mins, Fearless Productions for TVNZ 1, up to $2,758,465. The true story of a NZ couple who mistakenly received $10m in their bank account. Westside 5, 10 x 44 mins, South Pacific Pictures for Three, up to $6,952,900. The Outrageous Fortune prequel is back for its 5th season, bringing audiences more of their favourite raucous West family. Baby Mama's Club 2: The Prequel, 6 x 15 mins, Culture Factory for TVNZ On Demand, up to $342,972. A rookie investigator and a pair of clueless bouncers go undercover to find Johnny’s three Baby Mamas. Comedy Pilot Week, 5 x 22 mins, Mediaworks TV for Three, up to $325,000. A chock-a-block week of bold sitcom pilots designed to help foster a new generation of comedic NZ talents. Educators, 8 x 15 mins, South Pacific Pictures for TVNZ On Demand, up to $498,501. An improvised sitcom starring dysfunctional high-school educators just trying to make it till the bell rings. 7 Days, 40 x 32 mins, Mediaworks TV for Three, up to $1,056,000. The much-loved news comedy panel show is back for its 11th season. Anika Moa Unleashed 2, 20 x 12 mins, Rogue Productions for TVNZ 1, TVNZ On Demand and Māori Television, up to $584,685. The second series of Unleashed sees Anika Moa back at large visiting people, places and events of interest. Circuit Breaker, 5 x 45 mins, Fairfax NZ for Stuff, up to $491,250. From the award-winning team behind The Valley comes an interactive documentary series based on 5 in-depth investigations. Crash Test Mummies, 2 x 45 mins, Rogue Productions for TVNZ 1, up to $231,577. Meet the teenagers at a high school teen pregnancy unit who juggle the demands of motherhood and education. David Lomas Investigates, 10 x 44 mins, Warner Bros NZ for Three, up to $985,434. David Lomas presents a compelling new series investigating New Zealand family mysteries. Funny As: The Story Of New Zealand Comedy, 5 x 44 mins, Augusto for TVNZ 1, up to $1,450,720. A new series chronicling what's made New Zealanders laugh throughout the years. He Whaipaanga Hou, 1 x 52 mins, Storybox for The Spinoff, up to $100,000. 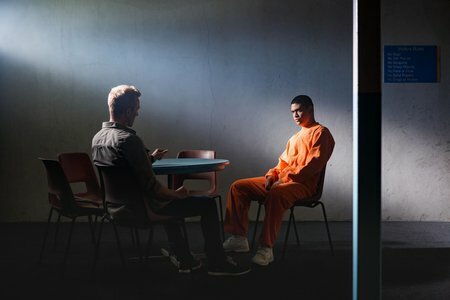 Capturing the voices of Māori who have had contact with the criminal justice system both personally and professionally. Holding Court, 6 x 26 mins, Imagination Television for Māori Television, up to $374,790. Telling the inspirational story of NZ NBA star Steven Adams and the basketball camps he holds to mentor rangatahi across NZ. Country Calendar 2019, 40 x 22 mins, TVNZ for TVNZ 1, up to $566,720. Profiles of New Zealanders who make their living from the land and sea, exploring people, place and activity. Making New Zealand 3, 4 x 46 mins, Top Shelf Productions for Prime, up to $736,017. Telling the stories and struggles of our predecessors who built New Zealand from the ground up. Oceans Predators (additional funding), 1 x 44 mins, Film New Zealand Limited for Prime, up to $177,092. The discovery of the hidden breeding grounds of the world’s most endangered sea lions leads to incredible footage. Patrick Gower: The High Road, 2 x 43 mins, Ruckus Media for Three, up to $286,986. Patrick Gower takes a look at the massive opportunities for a NZ where medical marijuana is legal. Recovery 29, 1 x 44 mins, Screentime New Zealand for Prime, up to $199,998. The strong likelihood that the Pike River 29 could finally be recovered reveals powerful stories of community and closure. Talune - Ship Of Death, 1 x 30 mins, Tikilounge Productions for The Coconet TV, up to $56,989. Telling the untold story of the flu-carrying ‘ship of death’ that was responsible for the deaths of over a quarter of the population in Samoa. The Second Wave Of P, 1 x 30 mins + 3 x 5 mins, NZME Radio for NZ Herald, up to $161,564. With NZ kids as young as 10 selling P, this documentary examines how the drug is coming into NZ and what’s being done here and abroad to stop it. The Wahine Disaster 50 Years On, 1 x 40 mins, A C Productions for Choice TV, up to $36,683. Reflecting on stories of courage and bravery 50 years on from NZ’s worst maritime disaster. Vapnierka, 1 x 52 mins, Te Amokura Productions for Māori Television, up to $194,861. Māori have long harnessed the power of name as an embodiment of power, this is a story of legacy, loss and leadership. Zealandia 2, 4 x 20 mins, White Paper Industries for Vice NZ, up to $182,750. Zealandia is back, telling the authentic stories from people living on the fringes of our society. Design Junkies 2, 6 x 44 mins, Warner Bros NZ for TVNZ1 1, up to $799,352. Hosted by Shane Hansen, six new designers are tasked with upcycling and designing trash into treasure. Off The Grid, 8 x 26 mins, Scottie Douglas Productions for Māori Television, up to 320,000. Follow host Pio Terei as he sets off to investigate the lives of whanau and individuals who are living self-sufficiently. The Checkup, 10 x 22 mins, Great Southern Television for TVNZ 1, up $625,522. Three smart young doctors answer medical questions from the public, debunking myths and revealing truths. The Side Eye, Beard & Braid for The Spinoff, up to $24,000. An online animated non-fiction comic series that explores some of NZ’s trickiest conversations in an accessible way. Mercy Ships, 1 x 20 mins, TVNZ for TVNZ 1, up to $30,340. Telling the stories of passionate Kiwis who provide lifesaving surgeries on-board ‘mercy ships’ in West Africa. Christchurch Dilemmas 3, 15 x 6 mins, Frank Film for Stuff, up to $200,000. Civic journalism stories with a focus on the Christchurch rebuild. Haukainga 2018/19, 100 x 3 mins, Te Reo Irirangi O Hiku O Te Ika (Inc) for Te Hiku.nz, up to $180,000. Civic journalism stories from Te Tai Tokerau. Living In La La Lands, 10 x 4 mins, Storyworks for Crux.org.nz, up to $114,137. Civic journalism stories from Queenstown Lakes District. Local Focus 2018/19, 480 x 2 mins + 12 x 30 mins, Very Nice Productions for NZ Herald, up to $400,000. Civic journalism stories from Manawatu, Hawkes Bay, Bay Of Plenty & Waikato. The South Today 2018/19, 1200 x 1 mins, Allied Press for Allied Press, up to $397,000. Civic journalism stories from Otago & Southland. Attitude Awards 2018, 1 x 60 mins + 24 x 1-15 mins, Attitude Pictures for TVNZ 1, up to $162,100. The Attitude Awards celebrate inspiring New Zealanders living lives beyond their disability. Vodafone New Zealand Music Awards, 1 x 120 mins, Mediaworks TV for Three, up to $180,000. Celebrating the best in New Zealand music. Access Manawatu 2018/19 - Capital Funding, Manawatu Access Radio Charitable Trust, up to $10,000. 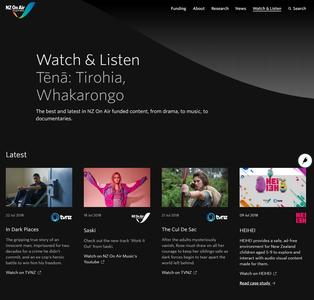 AIR Project (Various Stations) 2018/19 - Additional, Waikato Community Broadcasting, up to $10,783. Samoa Capital Radio 2018/19 - Capital Funding, Siufofoga O Le Laumua Trust, up to $6850. Aldous Harding, Flying Nun Records, up to $30,000. Bailey Wiley, A Label Called Success, up to $24,000. Balu Brigada, Saiko Management, up to $22,000. Fly My Pretties, Loop Media, up to $30,000. Jon Lemmon, CRS Music Management, up to $30,000. Katchafire, Katchafire Enterprises, up to $30,000. Laughton Kora, Twice The Hype, up to $30,000. Mermaidens, Flying Nun Records, up to $22,200. Nadia Reid, Nadia Reid Producer, up to $22,000. Swidt - Somethin' In The Water, Swidt Limited, up to $17,981. Show Me Shorts 2018, Show Me Shorts Film Festival Trust, up to $3000. Hui A Tau Nga Aho Whakaari 2018, Nga Aho Whakaari, up to $10,000. 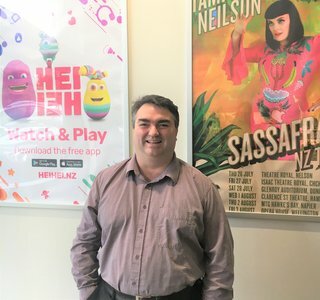 The NZ Music Producer Series 2018, Greg Haver, up to $10,000. NZ Game Developers Conference 2018, NZ Game Developers Association Inc, up to $10,000. NZ Music Regional Upskilling Seminars 2018, Music Mangers Forum, up to $10,000.